I love making small projects with pretty fabrics and trims. These little Harvest drawstring bags are perfectly sized to hold a small gift, some dried lavender, or perhaps to organise some small items like jewellery or make-up. Easily constructed in under an hour – they are such a fun and practical sewing project, and a great way to showcase your favourite fabrics and trims. These Harvest Drawstring Bags have been made using the pretty new fabric range by Tilda, Harvest, which features pretty florals and birds, in sweet colours of pink. lavender, orange, blue, and green. Harvest fabric will be available from August 1, 2017. If you would like to make your own, check out our free tutorial, Retro Drawstring Bags for all the project instructions. 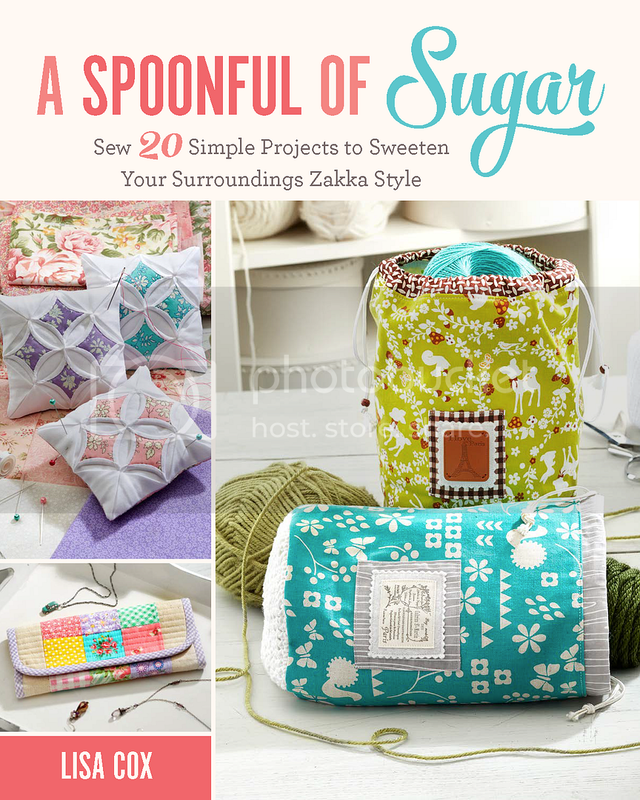 You will need some quilting cotton, lace motifs, and cord. Tomorrow I will be sharing a new sewing design that features Tilda Harvest fabric as part of the Harvest Blog Hop, so stay tuned! Disclaimer: Thanks to Two Green Zebras for supplying the Tilda Harvest fabric used in this post. Post contains some affiliate links. Nice little preview post of coming attractions. I really like these bags, and wouldn’t have been disappointed if that were the Harvest hop blog post! I love these. I don’t sew, but I want to learn. I want to make these for advent wreaths. So many different ideas and colors to make and add on cute buttons. Great tutorials and new ideas that are easy.